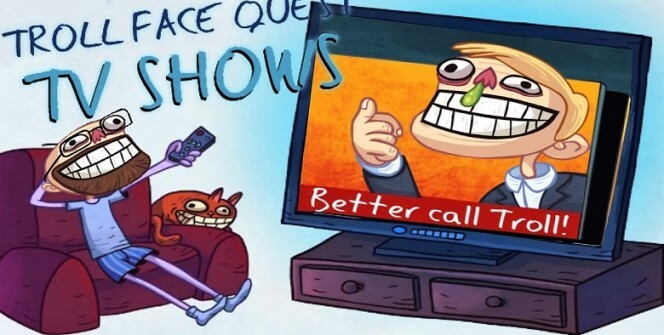 Developed by Spil Games, Troll Face Quest TV Shows is a puzzle game that requires you to prank your favorite TV characters and prevent them from trolling you. You are supposed to troll your way around a wacky world, solving mind-boggling puzzles and pranking on characters until you are crowned a king of the trolling world. The game is developed for Android and iOS devices, but with the help of an Android emulator, you can install it on a PC. 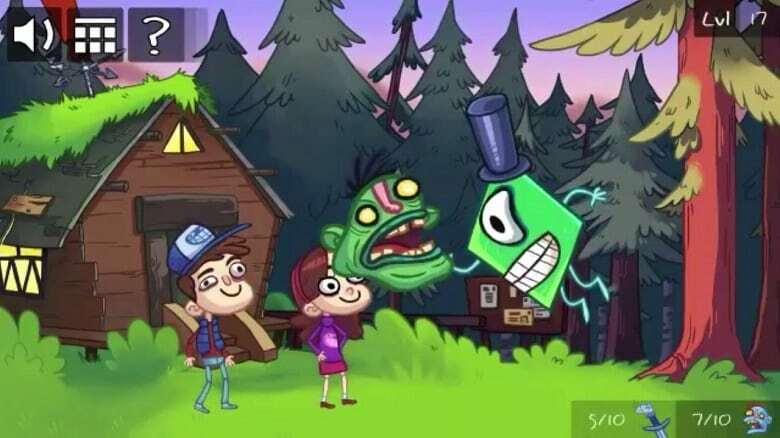 The game’s levels are filled with TV shows that are run by characters who are ready to prank on you. When you come across these characters, you need to prank on them immediately otherwise they will troll on you, leaving you in a desperate situation. You will need to think like a troll in order to act on them accordingly. When winter comes, you will start to see trolling undead walking around and preparing to annoy you. You will need to prepare for a trolling battle with these characters as they are quite a challenge when it comes to pranking. You can use anti-trolling jumpsuits or hire a crooked lawyer to help you get cards that will free you from jail. The puzzles are quite baffling, and if you are not well conversant with puzzle games, you will find yourself banging your head against the wall. You will be required to solve puzzles in crazy levels that are filled with non-stop trolling, and if you cannot endure the challenge, you will be thrown into a loony bin. The scenes are actually borrowed from actual TV shows, and so you can easily solve the puzzles by just going through these shows. Some scenes are also repeated a number of times in the game, so it can be easy to master the shows and solve the puzzles accordingly. If you are finding it a challenge to understand the shows, you can always go online and watch them. 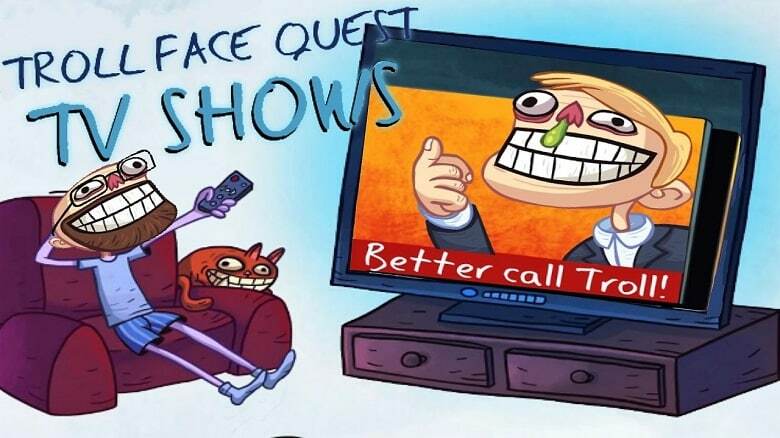 In Troll Face Quest TV Shows, you can not only use tapping to solve the puzzles but also find out clues when you are stuck. You can perform random tapping or multiple tapping to find the next move or to get some hints on how to solve the puzzles. The most important thing when performing these taps is to avoid clicking on the wrong things as this can make the level to fail. There are no time limits when solving the puzzles or leveling up, so take your time to analyze the puzzles and everything else to get them right. Take some time to do simple researches, and as mentioned above, you can search for the TV shows online and watch them. Yeah, it is possible to play this puzzle game on your Mac, desktop or laptop. What you need to do is just to install an Android emulator on your computer to access the game app. This software allows you to download and install mobile apps on your PC. Sometimes when playing Troll Face Quest TV Shows, bluestacks ask you fee to pay but gives you option to download some apps. Every time it asks you just select “Install apps” and continue using it free. I hope you enjoyed this article, please rate and share. If you have problems running Troll Face Quest TV Shows on desktop or any other issues, leave a comment below.